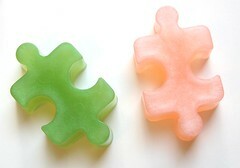 When it comes to making a handmade soap, for me melt and pour method is the easiest and the most practical way to do it. When I had a lot of time during our Christmas holidays last year, I tried some recipes from "Relax to the Max" by Rosevita Warda and I love the smell of them. 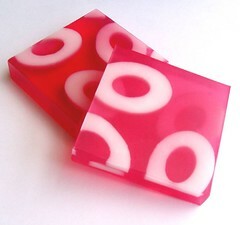 It's good if you have a fancy mold to go with it, but if you don't have like I do then you can them make with a square or circle mold. That's fine. The blend of peppermint and orange will make you feel refreshed and ready to go. 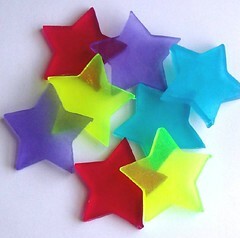 2 clamshell molds, 3 ounce each with embossed starfish. 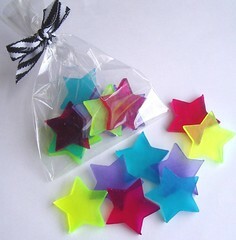 Melt the remaining whole soap pieces by stirring lightly after taking it out of the heat, either microwave or stove. 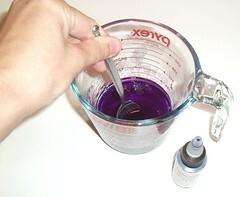 Add the colorant and stir gently, If the soap starts to solidify the remelt it. Add the essential oils or the fragrance oils. Add drop by drop at a time until the desired level of scent is achieved. 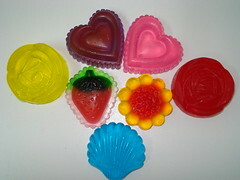 Pour 1 ounce of the soap into the embossed areas of the mold immediately. 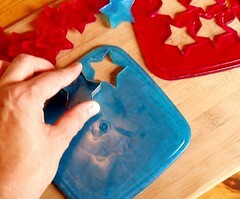 Let it harden a bit, then take a plastic and scrape away any soap that spilled over and out of embossed area. The mixture must be allowed to sit and cool before removing from the mold. 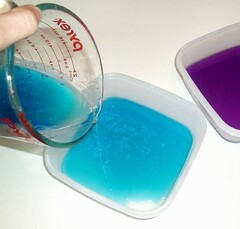 For quicker setting you may put the mold holding the mixture in the fridge. 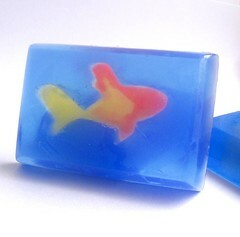 When completely set the soap will be easy to take out of the mold. 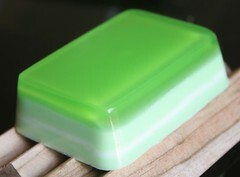 If you can't find clear glycerin base soap you can replace it with white coconut oil base. 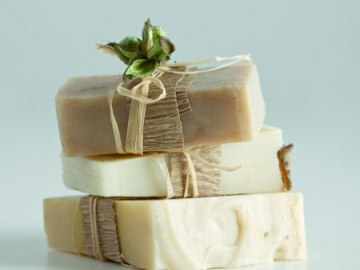 Make your own Lavender Soap - Lavender soap is very popular among the soapmakers. It is not only because of its lovely and soothing scent. It can relieve depression and stress. 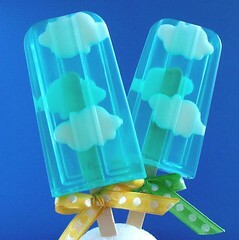 Lets start make our lavender soaps!